To spotlight Georgia’s fascinating past, State Historic Sites are offering free admission on Sunday, February 10. 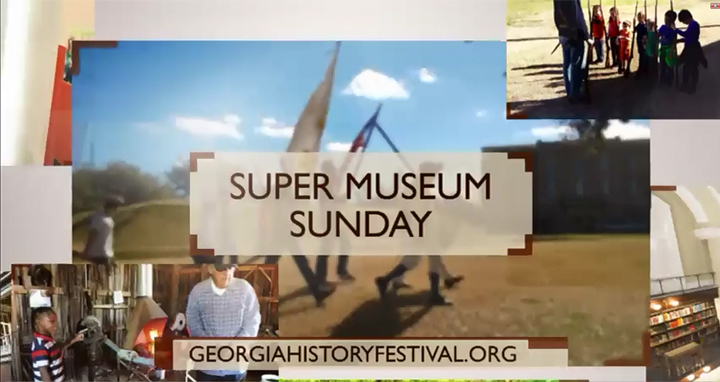 The event is part of Georgia History Festival’s statewide celebration of Super Museum Sunday. Visitors can see the Cherokee Nation’s first newspaper, walk in the footsteps of Revolutionary War soldiers, admire FDR’s hand-controlled roadster, climb to the top of an Indian mound, or explore many other locations. Find places to step into the past at GaStateParks.org/SuperMuseumSunday.